It was held on 24 December 2016 and special only for Research NLP Division. I did not come on time because I had to go to somewhere else first. Then at noon, I arrived in the office while Mr. Subroto had his time to give a speech. I didn’t feel well at that time cause I felt that I got a fever. However, I had to come since I had to perform dance with my group which we covered Blackpink’s dance to perform. (I already told you guys about this group). However, even though I did not feel well, I was happy to be with my colleague. There were three main sessions in this event. 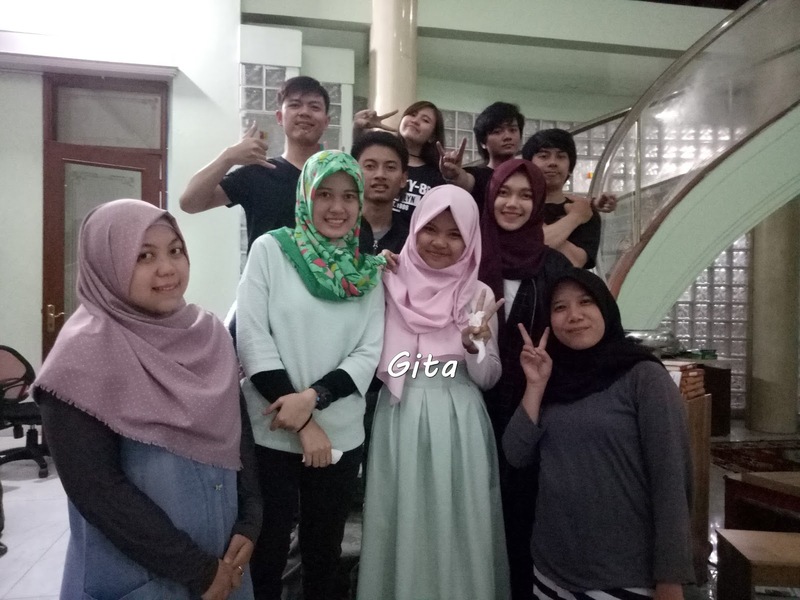 They are games, performance, and Gita’s farewell. The first session is about games. I did not join in this session, but I watched the video and I think they were really have a good time. It was fun by only watching them in the video. After that, they were told to write their impressions to every person in the division on the piece of paper. I did not write anything, but I got their writings about their impression of me, and it was really touching and funny. The second session is performance. There are three kinds of performances; stand-up comedy, music performance and dance performance. 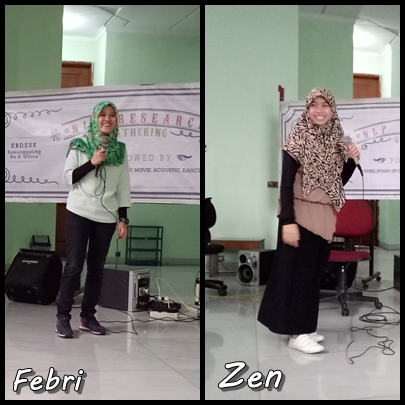 The stand-up comedy has Febri and Zen to give their funny stories. I love the way they speak to make us laugh. Furthermore, Music performance has two groups; they are Faiz’s group and Pian’s group. 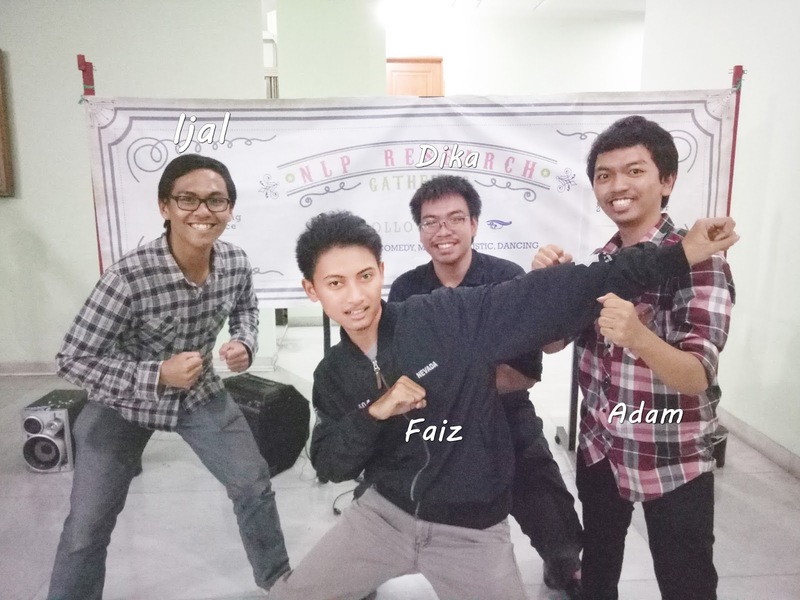 Faiz’s group consist of Dika as basis, Afrizal as guitarist, Adam as guitarist and drummer and Faiz as vocalist. I laughed so hard when they performed. At first, I was amazed with Faiz’s voice. He has that soft voice when he sang Sheila on Seven’s song. However, there were time when he could not reach the notes and the audience acted like they are Faiz’s big fans. I could not help to laugh at that time. On the other hand, there were Pian’s group which consist of Danu as guitarist, Rahmat as basis, Erfan as guitarist and Pian as vocalist. I think that this group is totally well-prepared. 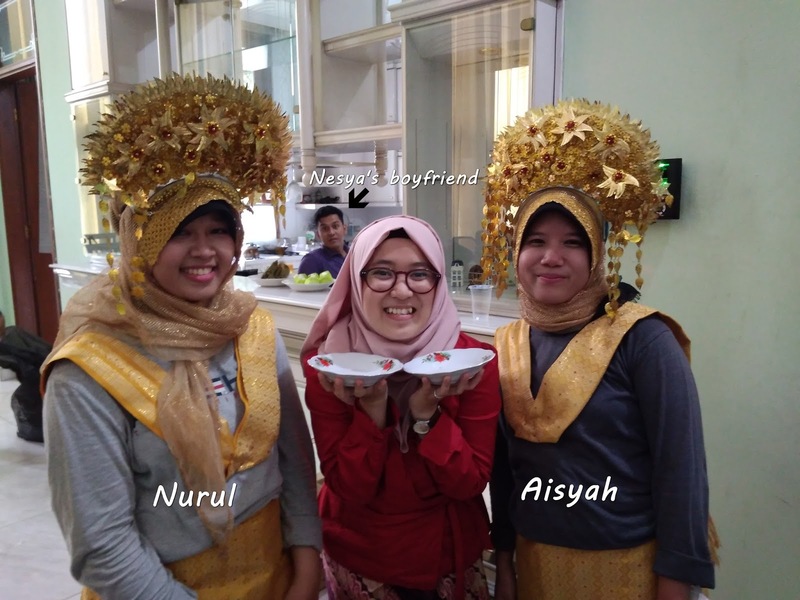 Moreover, people in this group has an experienced to perform in front of many people, such as Pian and Erfan. 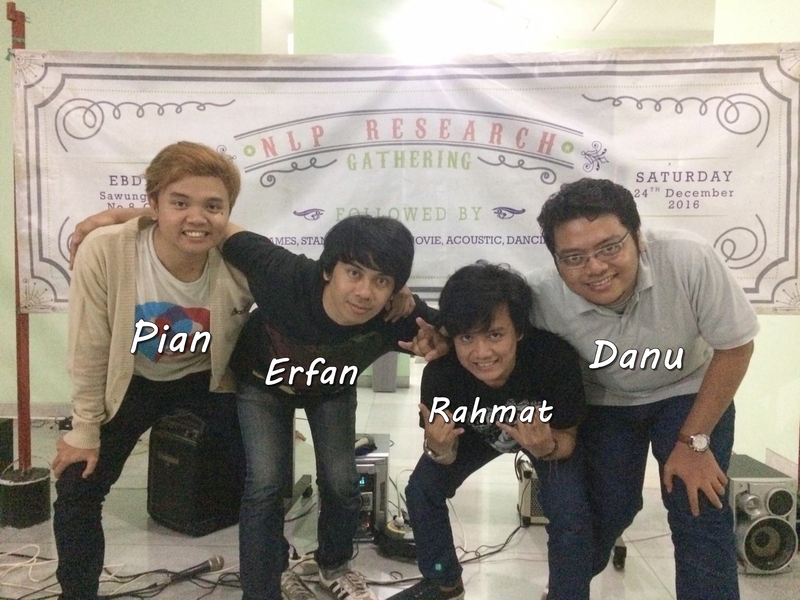 Pian has been a vocalist for his band and has experienced to perform on stage like many times and so does Erfan. Move on to another performance. There was Dance performance and it had two groups to perform. One is Aisyah’s group. She performed Padang Dance which is very beautiful and could make the audiences shocked in the end of her dance. It was because she danced Piring dance (the dance which the dancers hold the plate on their hands as they’re dancing) and smashed the plated with their hands. It was like watching horror movies. The first dance we saw it like slowly dance moves and it got faster and faster until it reached the climax where Aisyah smashed the plates and made us frightened and amazed at the same time. AMAZIING!! The last performance was EBDANCE group time. LOL. It was me and my friends covered Blackpink’s song title “Play with Fire”. I love the song and we practiced for this performance like every day in break time, because we did not have much time to practice in the studio. As the result we performed and I was glad that the audiences seemed happy to watch us performed. The third session is Gita’s farewell. Gita is my friend since we were in college, but we are at the same environment, Soreang, so I feel that I knew her for a long time. We talked about SMAN 1 Soreang, we talked about POLBAN, and we talked about High School Musical and Harry Potter. She is like my best friend, Fenti but with the different face. Lol. This day was Gita’s farewell from this company. She had been in this company for 2 years and she wants to do something new that relevant with her interest and passion. Fortunately she got a new job that she’s interest to be a part of it. Good Luck for Gita. We live in Soreang, so hopefully we can meet each other often. That’s it! We took a picture together and we exchanged our present to other randomly and I got a pair of cute socks. Yeay! Hopefully, we will do something like this again. So how about you? Do you have any events from your workplace? Let me know. It's like bring me some old memories. Keep sharing sister ! I wanna hear more stories from you, and now it seems you are becoming an expert writer, story-teller ! When I was reading your writings, it was like I moved to different part of the world, to another space and time.